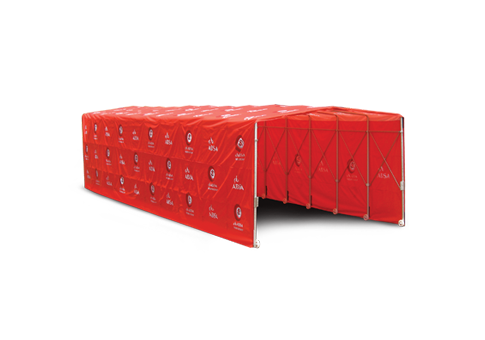 The PS Tunnel is mainly used for sports arenas but could also be used to introduce your stars in true style and at the same time get maximum advertising exposure for your brand. The PS Tunnel can easily be erected in seconds once assembled! Digitally printed with the world's top direct to fabric digital printer. We use the best quality waterproof fabrics combined with a super strong aluminum endoskeletal frame so you can be assured of the most durable system with the most vibrant colors around.